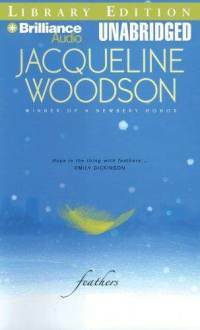 Jacqueline Woodson’s 2008 Newbery honor book takes its title from Emily Dickinson’s famous line, “Hope is the thing with feathers.” Frannie, the 6th grade girl who narrates the story, muses on this line throughout the book, as she learns how to bring hope into her life. Hope is badly needed in Frannie’s world. Her mother is pregnant, having lost multiple babies in the past, but she and Frannie’s father cling to the hope that this child will live. Frannie’s older brother, Sean, is deaf, but he hopes to build relationships with his hearing peers. Frannie herself, though, is a worrier; she tends to expect the worst and can’t figure out why people keep trying when things don’t turn out right. The plot, such as it is, really begins when a new boy—a white boy—joins Frannie’s all-black classroom. This boy is immediately an object of curiosity and scorn. When a class bully taunts him by saying he looks like Jesus, he quickly adopts the nickname Jesus, or more often, “Jesus Boy.” No matter what happens, he doesn’t seem to get worn down by the teasing and exclusion. As the novel goes on, we learn that he isn’t immune to feeling hurt, but somehow he still exudes hope. His attitude takes on an almost mystical quality as Frannie and her classmates start speculating on his origins, wondering if he could in fact be Jesus. When I read Hush last year, I was struck by the poetic beauty of Woodson’s writing. That beauty fills Feathers. It’s perhaps the most compelling thing about it. Her descriptions of Frannie’s 1970s urban world provide a strong sense of place, and her prose is lush. I was also impressed with some of the theological insights, especially regarding what it means to be Jesus. She works in this theme without ever seeming preachy—she just has kids talking about Jesus and making some wise observations as they speculate together. Feathers is a quiet sort of book. There aren’t a lot of big events or even much of a narrative drive. This did at times frustrate me because I wanted something to happen, or I wanted a clear conflict to become invested in. And I was somewhat disappointed in the answer to the one overarching question: Where did Jesus Boy come from? The answer hinges on something that strikes me as improbable even today, much less in the 1970s. If you’ve never read Woodson, I’d recommend starting with Hush over Feathers, but Feathers is still quite impressive. Woodson is certainly a writer whose works I’m happy to know about. I feel sure I’ll be reading more of her books in the future. 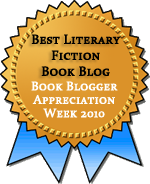 This entry was posted in Audiobooks, Children's / YA Lit, Fiction. Bookmark the permalink. I’ve been meaning to read something by Woodson for ages now, but haven’t yet – thanks for reminding me! My local library has both Hush and Feathers, so perhaps I’ll check them both out. Hope you enjoy! They’re both nice, quick reads. I read my first Woodson last year, If you Come Softly. I loved her writing and the powerful story that she told in so few pages. I look forward to reading this one too after reading your review. I’ve heard good things about If You Come Softly. I’m pretty sure it’s on my list. I hear Peace, Locomotion is also really good. Locomotion, a novel in poetry, comes before Peace, Locomotion, and it is a great read. There’s also a little faith exploration in it.